The ministerial meeting of Libya's neighboring countries kicked off Thursday in Sudan's capital Khartoum with the aim to end the current political deadlock in the country. Attendees have all voiced commitment to support Libya to reach stability and security by an accord among all of the conflicting parties, stressing the need for national reconciliation. The Final statement of the meeting stressed on the need to preserve Libya's sovereignty and unity, rejecting any kind of foreign intervention. It also called for commitment to Skhirat agreement of 2015 as the only way out of the current crisis, adding that Libyans should be the one who take up the implementation of the solution in their country without sidelining any component of the society. "There is no military solution for the Libyan crisis, peaceful solutions and national reconciliation are the only way out." The final statement adds. It also welcomed the economic reforms in Libya as well as the security arrangements done by the Presidential Council. In the meantime, the Foreign Minister of the Libyan Presidential Council's government, Mohammed Sayala, thanked Sudan for hosting the meeting, which he said reflects the international community's efforts to build bridges among the conflicting parties in Libya in order to reach accord and reconciliation. 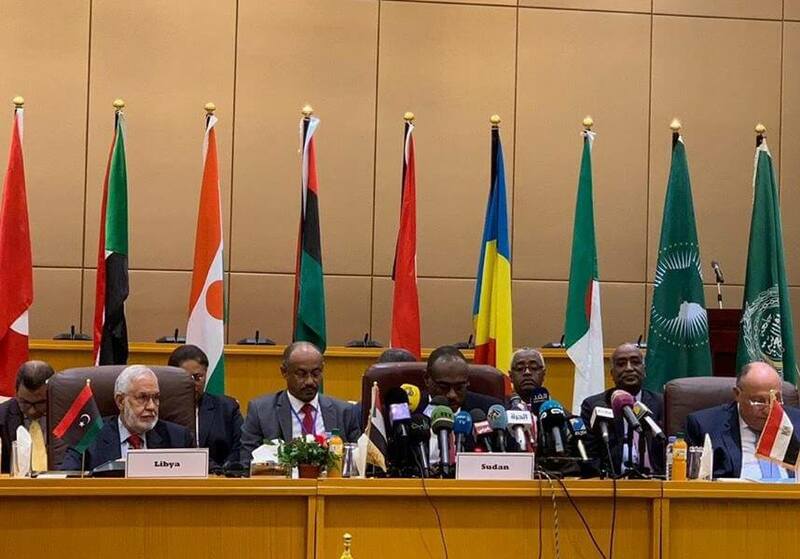 Sayala addressed the attendees in Khartoum saying Libya appreciates their efforts, epically the "Tunisian-Algerian_Egyptian Initiative" in line with the UNSMIL efforts as well as the Paris and Palermo meetings' plans for bringing peace and stability to Libya. "Security improved considerably in Tripoli after the Presidential Council had started implementing the security arrangements and camps had been ordered to evacuate so regular police and army personnel can take control." Sayala added.